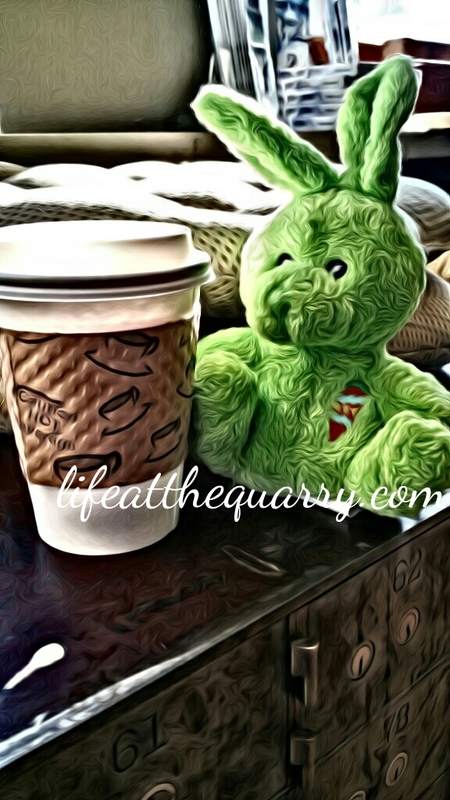 Motherhood and the Coffee Shop. I wouldn’t trade this for anything in the world. Motherhood. A little over one year into motherhood, and I’ve faced many challenges. Internally. Externally. With him. With myself. Things and people around me. I’m the mother I always knew I would be, and it has been fascinating to see how who he is has let me be that for him. How this picture of how I am with him, who I am for him, what I represent hasn’t changed from the day I realized I wanted to be a mom. I’m tapping this out, on my phone, from the floor of his bedroom. A rare moment, him waking in the middle of the night. My presence nearby gives him the comfort he needs to drift back to sleep. When that happens, I’ll save this to draft and wait until the next moment comes and I can continue. Those moments are very few and far between. And that’s okay. My days are filled with laughter, fun and curiosity. When I’m not at work, I have a small audience of one (well, two if you count my dog). Everything I do is being watched. Because of that, I’ve made sure to lead by example. But that can be a slippery slope. I want my son to see me as a strong mother, woman, human being, that can handle whatever comes her way. I want to shield him from the tears that escape in the dark. The moments of doubt. The moments of loneliness. Heartbreak. I need to let him know, by showing him, that’s it’s okay to reveal those vulnerable moments. They are what makes us human. We can’t be strong all of the time. Despite our valiant efforts to try. Tomorrow, when he wakes, we’ll slip downstairs and snuggle on the couch. We’ll watch a favorite cartoon or two before starting our day with breakfast and some playtime. If it’s nice out, we’ll maybe walk down to our favorite coffee shop, where we’ll sit on the sofa in the window, watch traffic and I’ll inevitably answer 1,000 “wassat?”s. It’s a big change from nearly a year ago when I’d sit in the same coffee shop with him sleeping against my chest in his carrier or tucked snuggly inside his stroller. The little shop has become our “thing”. A place where we can go, easily, that gets us out of the house and gives us time together. Just the two of us. And that time is ours alone. Almost like our little secret. The coffee shop has become a place where I go to decompress. To sneak away from all of the demands around me. The demands that I be and do everything I did before becoming a mother. The demands of being a mother. The demands of doing it all. Not even Wonder Woman could do it all. Why am I expected to? I always leave the coffee shop, my little sweetheart in tow, feeling refreshed and ready. My mind is sorted. My shoulders feel a little lighter. We always walk down to the harbor, where I say goodbye to any lingering stressors, then we head home. Taking our time to get there. Because home is the place of piles of laundry that need to be folded. Toys need to find their homes. Dog hair tumbleweeds roll across the floor when the hot air heat kicks on, because I haven’t had a spare moment yet to vacuum. Cluttered tabletops and counters. Floors that have to be mopped, not just vacuumed. Where the shower is in need of scrubbing. Soon, I’ll be able to add the gardens to my list. Other outside tasks, like the someday vegetable garden so that we can be a little more self-sufficient. A million things that loom just over my shoulder. But while we’re at the coffee shop, or walking around our little sea captains village, are all tucked in the depths of the mind. Tasty Thursday: Spinach Ricotta Cheesy Chicken. No more apologies. I am officially UNapologetic.